Vera Frenkel, Body Missing (1994–2008). 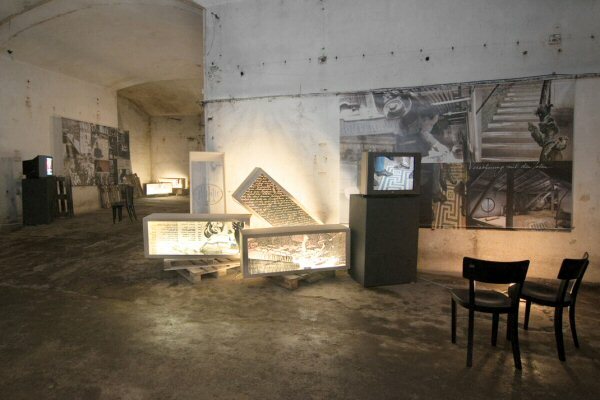 Partial installation view in the basement of a building once used as a prison by the Third Reich during World War II. Exhibition Streams of Forgetfulness (2008), Offenes Kulturhaus, Linz (Austria). The inception of this exhibition goes back to a case study conducted by DOCAM on the documentary aspect of the acquisition of Vera Frenkel's archival fonds by Queen's University.